I’d been to the Kamp before, in Maryville, Tennessee. Unless you are a devotee of the guitar and acoustic cousins like the mandolin, the “fiddle” (violin played a certain way), bass, banjo or dobro, you don’t realize that hundreds of camps happen every year across the world where musicians gather and play and learn the heritage of “roots” music—folk, jazz, country, celtic, and so on. In these places, campers rub shoulders with the legends of bluegrass, swing, fingerpicking and new acoustic music. I met legends like Bill Keith, Clarence White, John Carlini, and took classes from the best pickers on the planet. Every night, we were treated to concerts by the faculty and sent off to “jam” as long as we could stay awake. I also heard the best bluegrass joke ever. One of the players said he’d been teaching an FBI agent who said the murders of bluegrass pickers were the most difficult to solve. “Why?” he asked. “Because, they have no dental records and they all share the same DNA.” Haw, haw, we laughed, we love this music while everyone ridicules us as leftovers from “Deliverance,” the most harmful caricature of Southern rural people ever. A little truth turned into a stereotype (Seen those bumper stickers? PADDLE FASTER! I HEAR BANJOS!!!) 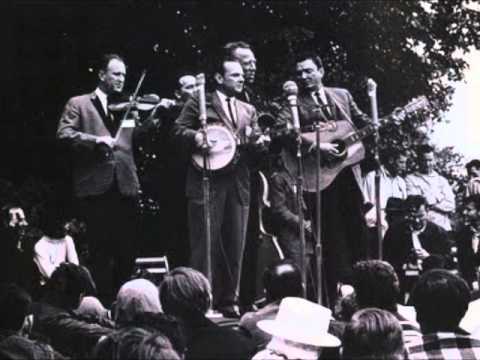 The genetic code of bluegrass and old time music is more sophisticated than that. It carries stories of birth, life and death in the old days. It tells of children dying young, tragic love, shame, murder, alcoholism and faith. To learn the code, no stereotype will do. You have to descend into the music and listen. Shuffler (in the back) with the legendary Stanley Brothers. the banjo. He said in an interview that he did it out of necessity, trying to figure out “how to fill up the spaces.” Now it is standard fare in playing. None of that mattered in 2005. I just liked the songs. They came from somewhere familiar, stirring something of the old homeplace that I had mostly in my imagination. 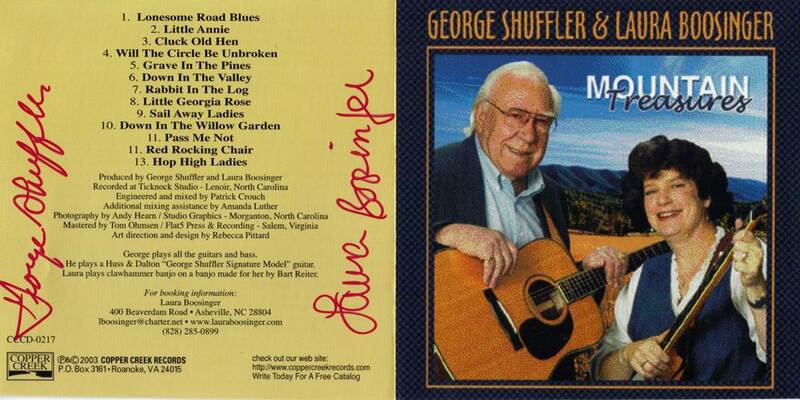 George Shuffler died this week. 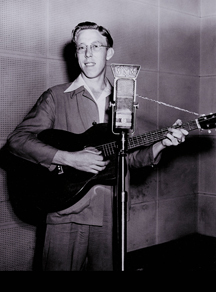 (read the Charlotte News and Observer piece on him CLICK HERE) He will be remembered and appreciated by players, unknown to most of the current generation, but to anyone who loves a guitar, with appreciation whenever we finally learn how to “crosspick” without thinking about it. Rest in peace. You’ll live on in the songs you left us. Posted on April 9, 2014, in Art, Banjo, Country Music, Culture, fiddle tunes, Folk, Gospel music and tagged Bill Keith, Bluegrass, Clarence White, country music, crosspicking, folk, folk music, George Shuffler, Guitar, John Carlini, Laura Boosinger, North Carolina, roots music, Steve Kaufman. Bookmark the permalink. 2 Comments. Love this piece Gary! I talk about liking roots music, but did not know that included jazz–how do you define roots? Looks like we have a townhouse. Will make inspection this Saturday. I call jazz “roots” music because it is primarily music developed from fusion of cultural traditions, mostly African American, and Latin, Cuban, etc. with European forms. It is almost purely improvisational, which to me puts it there also. So called “world music” (an ambiguous term if ever there was one!) opens it to just about everything. Jazz is a hybrid, but then, I would put blues in there too. Musically, I simply dislike categories. They are mostly for critics and people organizing their CDs. Music is alive and always changing. Even “roots” music.